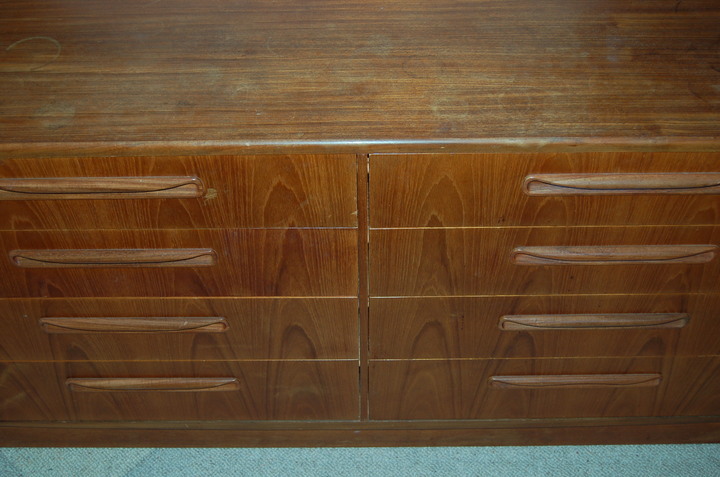 Very useful G-Plan 'double' chest of drawers, i.e. 8 drawers. Currently in need of refurbishment, as shown in the picture, but basically a solid piece of furniture.